Excellent Color Rendition – Colors are reproduced with fidelity and the skin tone of subjects are always natural. Long Lasting Batteries – Thanks to the long lasting batteries (1.5 hrs on average), Spectra is ideal to be used not only in studio, but also on location. Versatility & Portability – It’s extremely easy to carry Spectra LED lights wherever they are needed and to use them either on-camera or in combination with Manfrotto’s numerous complimentary accessories (stands, booms, clamps, arms, etc). SPECTRA 1X1 FT BI-COLOR, FLOOD (Part Number: MLS1X1FT) – Manfrotto Spectra 1X1 FT is an extremely versatile LED panel; it provides a beautiful soft light, to match the requirements of demanding filmmakers, videograpers and photographers. The illuminance is greater than 1400 LUX at a distance of 1m and the color temperature can be regulated from 3200°K to 5600°K. SPECTRA 1X1 S, 5600K, FLOOD (Part Number: MLS1X1F) – Manfrotto Spectra 1X1 F is an extremely versatile LED panel; it provides a beautiful soft light, to match the requirements of demanding filmmakers, videograpers and photographers. The light output is centered at a constant temperature of 5600°K (daylight), with an illuminance of more than 1400 LUX at a distance of 1m. SPECTRA 1X1 S, 5600K, SPOT (Part Number: MLS1X1S) – Manfrotto Spectra 1X1 S is an extremely versatile LED panel; it provides a beautiful soft light, to match the requirements of demanding filmmakers, videograpers and photographers. The light output is centered at a constant temperature of 5600°K (daylight), with an illuminance of more than 1700 LUX at a distance of 1m. 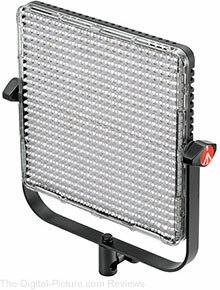 B&H carries the new Manfrotto Spectra 1x1 LED lights. Imaging-Resource recently interviewed Go Tokura, Canon's Group Executive for Image Communications / Products Operations. Mr. Tokura was asked directly, "Will we eventually see the M2 in the U.S., or will you wait until the next generation?" Mr. Tokura replied (via translator), "There are plans for the M2 to arrive in the U.S. However, having said that, I should make clear that that's the decision that is led by the sales groups in each division, so they are the ones who are holding the decision-making responsibility on that." 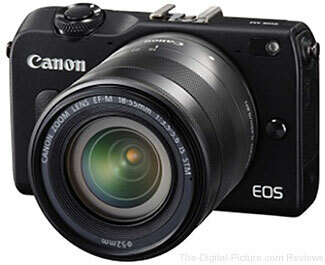 This news would contradict initial reports that the EOS M2 would only be released in Asian markets. For more information, check out the rest of the interview on the Imaging-Resource. Clacton on Sea, United Kingdom – February 27, 2014 – Comodo, a manufacturer of advanced camera stabilization systems, is announcing the release of their newest camera stabilization device, Orbit. Utilizing advanced engineering in mechanical gimbal technology, combined with application of basic physics, Orbit is the first mechanically driven, twin grip gimbal stabilization device of its kind to be introduced to the HDSLR and small camcorder segment of the filmmaking community. Inspired and designed by award-winning filmmaker, and pioneer of the Single Shot Cinema Shooting Method, Leonard Retel Helmrich, Orbit is the perfect tool for photographers and filmmakers of all levels who want steady and fluid hand-held footage that is easy to capture. Unlike any other stabilization device currently available, Orbit requires no weights, motors, or batteries in its balancing and operation. This results in a simplified, streamlined, and straightforward way for filmmakers and photographers to utilize the tool within production environments without dedicating large amounts of set-up time to its usage. Orbit will arrive at a street price of $1,499 and is currently available for pre-order now at select authorized resellers across the USA. Product shipments will begin March 1, 2014. 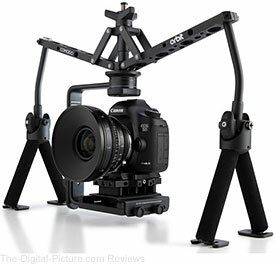 B&H has the Comodo Orbit Handheld Stabilization Rig available for ordering (shipping in 7-10 days). LAS VEGAS– Feb. 27, 2014 – Sigma Corporation of America, a leading researcher, developer, manufacturer and service provider of some of the world's most impressive lines of lenses, cameras and flashes, will be exhibiting at the Wedding & Portrait Photography International Conference + Expo (WPPI) at the MGM Grand Hotel in Las Vegas at booth 521 from March 3-5. At the booth, Sigma will be showcasing its entire camera and lens product lineup, including several recently announced lenses and accessories from the manufacture’s Global Vision Line like the improved and redesigned 18-200mm F3.5-6.3 DC Macro OS HSM and 50mm F1.4 DG HSM lenses, as well as the 24-105mm F4 DG OS HSM, 18-35mm F1.8 DC HSM | ART lenses and USB Dock. Sigma is also pleased to be sponsoring the WPPI University event taking place on Friday, February 28 and Saturday, March 1. Two of Sigma’s Pro Photographers, Lindsay Adler and Jennifer Rozenbaum, will share their photography tips and tricks during a speaking session on Friday afternoon, and event attendees will also have the opportunity to participate in our shooting station during the hands-on workshops, and interact and work with Lindsay and Jennifer on their photography skills. WPPI In-Show Lens Giveaway: Enter for a chance to win one of four different lenses throughout the show. Sigma fans that visit the booth and participate in the Sigma Shooting studio each day will be entered for a chance to win a different lens each day of the show, including either the 85mm 1.4 EX DG HSM, 35mm 1.4 DG HSM Art, 24-105mm f4 DG HSM OS Art or 50mm 1.4 EX DG HSM. Attendees must participate at the shooting station each day for a chance to win, and one winner will be chosen randomly each day. Three lenses will be given away, one each day, plus a grand finale winner on the last day. Stop by the booth to learn which lens is being given away each day. WPPI Online Lens Giveaways: For Sigma fans that are unable to attend the show, Sigma will be offering them a chance to win a different lens each day by entering online. Fans can enter by submitting their best wedding and/or portrait photos to Sigma’s Facebook page using the hashtag #WinSigma or on Twitter and Instagram using the hashtag #WinSigma. The hashtag must be used in order to account for all entries, and a winner will be judged and selected for each day of the show plus a grand finale winner. Submission period begins March 3 9am PST and end March 5 4pm PST. Winner names will be announced March 21, 2014. For more information, visit our social channels or website each day to see which lens will be given away! 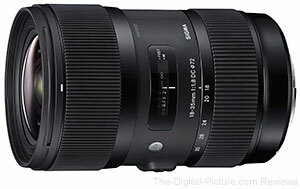 B&H has a limited supply of Sigma 18-35mm f/1.8 DC HSM Lenses for Canon (review) available. Hit the "Add to Cart" button if you've been wanting to pick up this unique lens. 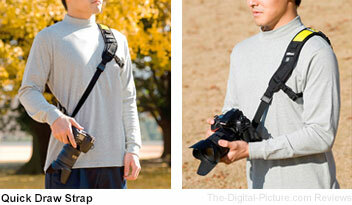 TOKYO - Nikon Corporation is pleased to announce the release of the Quick-Draw Strap and the Quick-Draw Strap S, two new products developed in cooperation with world-renowned American camera accessory manufacturer, BlackRapid. Along with the great mobility offered by BlackRapid products through specifications that enable on-the-go shooting with a mechanism that allows the camera to slide diagonally up and down the shoulder strap, a system that utilizes the camera's tripod socket so that the camera hangs upside down for a smooth grip, a shoulder pad that effectively distributes weight for less burden, and an under-arm tether that holds the strap firmly in place, these two new straps offer an even greater sense of security with a safety strap that prevents the camera from falling in the unlikely event the fastener comes loose, and a cover that prevents the carabiner that connects the strap to the camera from scratching the camera body. NEW YORK, Feb. 25, 2014 – Shutterstock, Inc. (NYSE: SSTK), a leading global provider of commercial digital imagery, recently announced that it has paid over $200 million in royalties to contributors since the company’s founding in 2003. With artists in over 100 countries, the milestone illustrates the dynamic global marketplace the company has built, and its ability to connect more than 55,000 artists to nearly 1 million image buyers around the world. Each time a customer licenses an image from Shutterstock, the contributing artist receives a royalty. More than 100 million images were licensed in 2013. Shutterstock currently has over 33 million images and more than 1.5 million high-quality video clips, including a growing 4K video collection available for license. Last year, the company launched Shutterstock Stories: Profiles in Creativity, an artistic grant program that celebrates the work of its contributors. 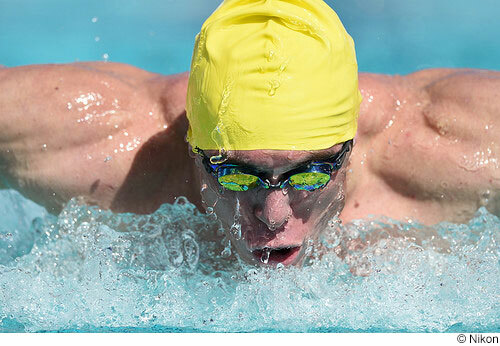 To see the winning entries, visit shutterstock.com/stories. Image quality, flare, distortion and vignetting test results along with some product photos have been added to the Tamron 150-600mm f/5-6.3 Di VC USD Lens Review page. The Tamron 150-600 VC Lens vs. Canon 100-400mm IS Lens comparison is what many of us have been waiting for. Especially for the price, I think that you are going to be very pleased with the image quality this lens delivers. 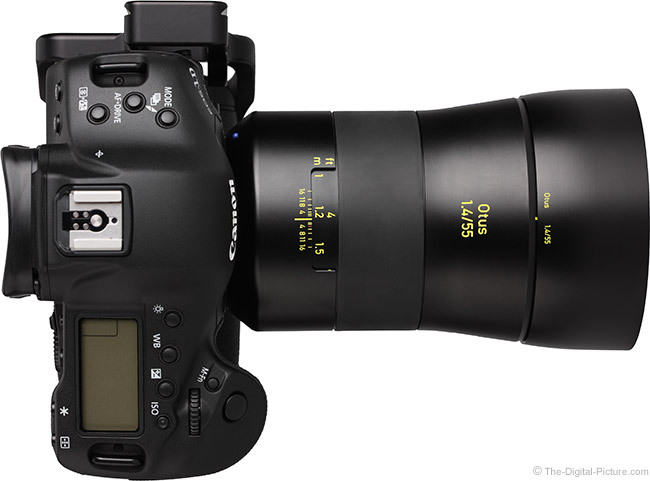 I hope to have a full review of this lens completed in the near future. 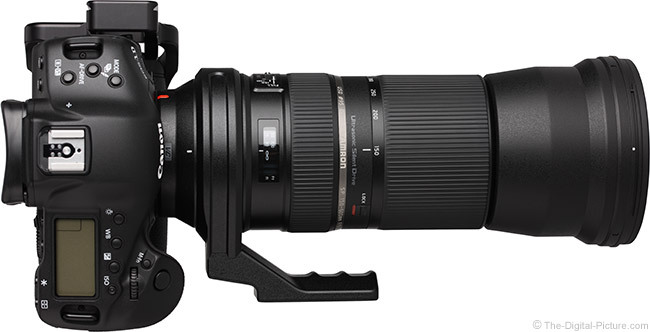 B&H is taking preorders for the Tamron 150-600mm VC Lens. 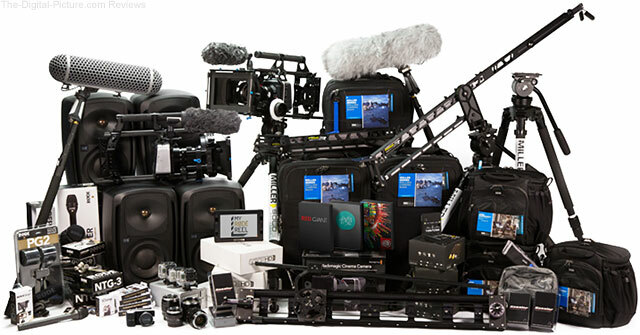 RØDE has created a short film competition where you could win your share of the $70,000 in prizes seen below. Enter your email address on the competition page to get started. B&H carries RØDE microphones and accessories. 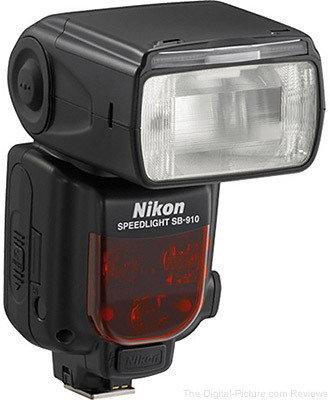 eBay (via PhotoVideo4Less - 99.7% Positive feedback) has the Nikon SB-910 Speedlight Flash available for $455.00 with free shipping. Compare at $546.95. February 26, 2014 - DxO Labs announces the immediate availability of DxO Optics Pro v9.1.3 for Mac and Windows. This upgrade means that DxO Optics Pro 9 now supports the Nikon D3300, the brand’s latest entry-level DSLR, along with the Canon EOS M2. Of note, too, is that DxO Optics Pro v.1.3 also now works with the Panasonic DMC-FZ70 and the Samsung NX1000 and NX1100, thus completing support for the entire hybrid camera range. DxO Optics Pro v9.1.3 has been enriched with new DxO Optics Modules: 264 new cameral/lens combinations have been added to the library, which today counts 17,400 available DxO Optics Modules. Among the new lenses supported is the NIKKOR AF-S DX 18-55mm f/3.5-5.6G VR II — the upgraded standard zoom found in most of Nikon’s entry-level DSLR kits, as well as the Samsung NX 20-50mm F3.5-5.6 ED II. DxO Optics Modules contain all of the information characterizing each camera and lens, thus enabling DxO Optics Pro 9 to automatically correct distortion, vignetting, chromatic aberrations, and lens softness with an unrivaled level of quality. Nikon Europe has posted several D4S sample pictures to its Flickr account. Each image can be viewed at full resolution for closer inspection. B&H has the Nikon D4s available for preorder with 2% Rewards. This lens was announced with a LOT of hype. It is definitely worthy of such. Manfrotto is proud to announce the launch of the new 055 collection of highly innovative, practical, precise and quick to use tripods. Unprecedented Stiffness - Quick power locks with high locking power guarantee the maximum camera stability. Compared with the classical locking levers, the QPL allow to apply extra locking power to the leg locks which, in turn, increase the stiffness of the tripod and enable it to support a higher payload. Unlimited Creativity - The Easy Link attachment, allows to convert the new 055 in a portable photographic studio. By simply attaching an arm with an LED light, a reflector, or any other accessory, the new 055 goes beyond the classic boundaries of tripods’ functionalities. Versatility - The new horizontal column mechanism combined with the 4 leg angles allows the new 055 to smoothly reach whatever camera position you have in mind. Manfrotto is proud to announce the launch of the new X-PRO 3-WAY HEAD, designed for photographers who want maximum precision from a compact size. Friction Control - Manfrotto has once again focused on the details that help make every picture perfect and has equipped the X-PRO 3-WAY HEAD with friction controls. Friction on the pan and tilt axes can be set to balance the weight of the camera even when the locking knobs are open, allowing fine framing adjustments to be made before the shot is locked down. Leveling bubbles - The head has three small leveling bubbles that help the photographer set the shot even more precisely in-camera, reducing post-production work. 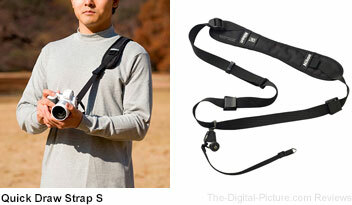 B&H carries Manfrotto tripods and heads.